For the love of all that’s holy, breathe! (Spot.ph) We’re just a few hours away from the opening of Star Wars: The Force Awakens, and things are at a fever pitch. The anticipation for the year’s most-awaited cinema event is palpable, with everyone eager to see how the final chapter of this legendary space opera plays out. At the forefront of everything Star Wars, Globe Telecom, in partnership with Disney Southeast Asia, has brought the local Force fever to a new level with a series of offerings in anticipation of the movie premiere. Beginning by transforming the Globe GEN3 store in Greenbelt 4 into a Star Wars hub, Globe has created a unique Star Wars experience to be enjoyed by all. 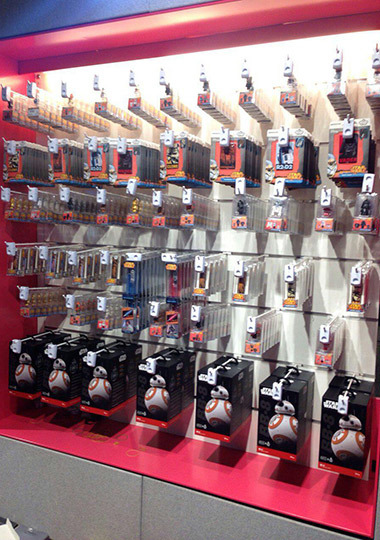 From offering an assortment of really cool Star Wars merch, gadgets, and interactive games, Globe has given fans a taste of the Force they won’t soon forget. “As the Star Wars fever heightens in the Philippines, we want to ensure that we do not just give our customers exclusive access to the premiere but also transport them into the Star Wars galaxy,” says Dan Horan, senior advisor for consumer business at Globe. 2. Your car charging dongles have more "force." 3. 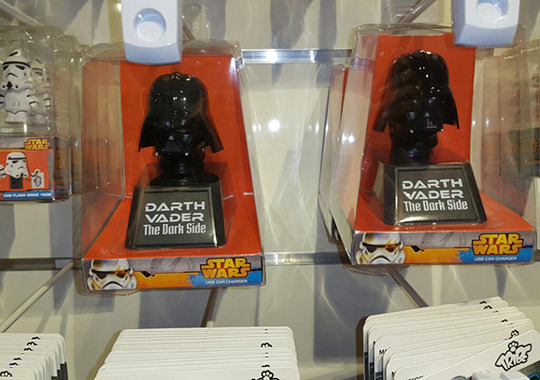 Your USBs and smartphone cases get the Force treatment, too. 4. You make light saber noises when cutting your food. Don't worry, it's perfectly normal. Just ask all the Jedis and Siths who showed up at this event. There's just something so elegant about black and white attire, don't you think? Such glamorous duds would be right at home at a posh premiere like this one. 6. Your car immediately transforms into the Millenium Falcon when you step into it. 7. Your hair and facial hair game are both uncannily on point. 8. You and your dad have become extra close in the past couple of weeks. Games are for younglings. You are a Jedi Master. 10. YOU WANT A BB-8 DROID, PERIOD. Star Wars: The Force Awakens opens in theaters nationwide on December 17, 2015. May the Force be with You.